You’ve Won a Free New Kitchen! It sounds like the prize you’d receive on the set of the Price is Right, doesn’t it? Why, it sounds wonderful! Maybe it sounds too good to be true. Maybe it is. We are all consumers of insurance. Whether it’s home insurance, life insurance, auto insurance, health insurance, etc. Many of us have paid premiums for the better part of our adult lives. I’m willing to bet that most of us have also placed some sort of claim (you remember… the fender bender, the kitchen fire, the hurricane claims). In those instances, it’s reasonable to say that the insurance companies have done their best to make sure their customers – all of us – have been taken care of as fairly and promptly as possible. In the rare instances that this may not have been the case, your agent can step in to assist where needed. Some claims, however, do still get denied – and for valid reasons; remember, an insurance policy covers specific types of claims, not everything that ever has the possibility of occurring. Recently, there has been an adverse approach towards claim handling by some remediation companies, contractors, etc., whom you would normally call to repair your damages. This is largely driven by a desire to profit from your insurance claim. They appear at your door (or your car at the gas pump) and make intriguing promises to get you a new roof, floor, kitchen, or windshield… FOR FREE! Can you believe it?? Take both hands and slap them across each side of your jaw and gasp with excitement! YOU’VE WON! Not really. What these companies (water remediation companies, contractors, anyone who’s promising to get you something for nothing) are doing is setting you up to take complete control of your homeowners (or auto, etc.) policy rights for their “work”. At this point, it’s important to note that not all remediation companies, contractors, etc. are created equal; read your contracts. If you see any verbiage regarding an “assignment of benefits” or “assignment of policy rights”, throw it in the trash and find someone else who can get the job done without hi-jacking your policy. There are plenty of reputable remediation companies and contractors who don’t use this language. You notice a puddle of water on your floor next to your refrigerator. You pull the refrigerator out and notice there is a leak coming from the ice-maker. You call a remediation company to come and take a look. The remediation company slaps a contract in front of you to sign before they’ll do any work. Of course, it’s all “standard boiler-plate language” you shouldn’t bore yourself with reading. 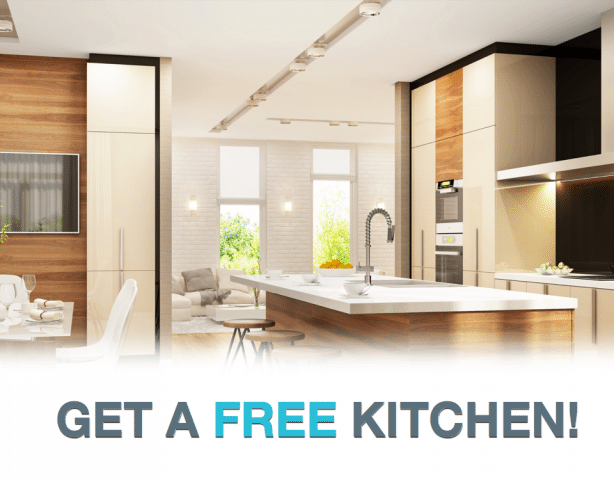 Remediation company lets you know they can get a brand new kitchen for you for free!! JUST KIDDING. We actually don’t. The remediation company rips out your cabinets, countertops, maybe even cuts out all of the surrounding drywall. After all of this material has been disposed of and everything has been properly (ahem) remediated, the remediation company bothers to turn in the claim for the “damages” to the insurance company. You know, because you signed the contract that allowed them to take complete control of your claim. You don’t have to be bothered with turning in that silly claim. The remediation company can handle that for you on your behalf. HOW NICE OF THEM! Gosh, they’re such good people. The insurance company receives the claim and assigns an adjuster. It’s an ice-maker leak. It was noticed close to the day of the original leak (if not the day of). This should be pretty straight-forward. The insurance company adjuster visits to review the damage. Wait! What damage? It’s all been disposed of and there’s nothing left to review. Congratulations! You are now suing your insurance company. Actually it’s the Remediation Company, but your name is on the policy so you’re in it too – like it or not. P.S. If for some reason, the insurance company does not pay the claim, the Remediation Company can come back against YOU for that “free” kitchen. This new trend is growing momentum in our state. Maybe it’s a result of the economy. Maybe it’s a collective desire to “stick it to the man”. Unfortunately, it’s affecting all of our premiums – mine, yours, hard-working people who want nothing less than to have to spend one extra dollar towards insurance. Make it stop. It is our choice as consumers. If you have any questions, call your agent. We are here to assist you. You are not benefiting from this. Make…it…stop. For more, refer to this YouTube testimonial, here.